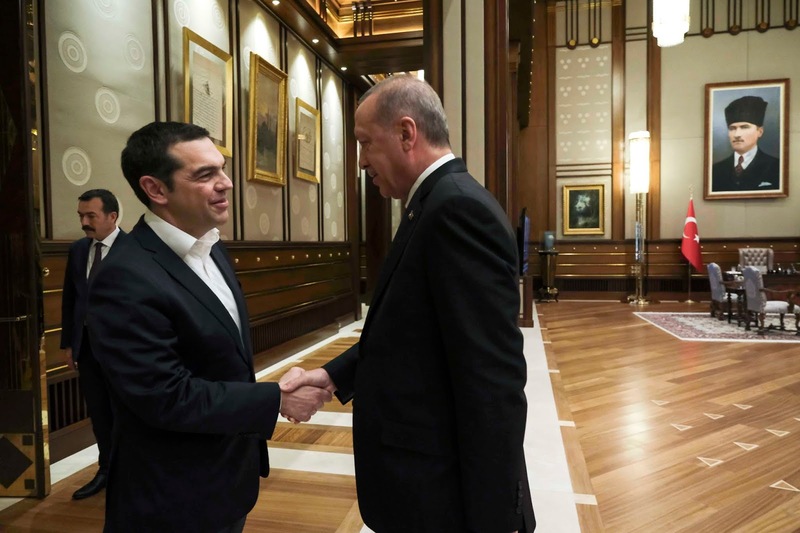 Alexis Tsipras meets Recep Tayyip Erdogan in Ankara on February 5. 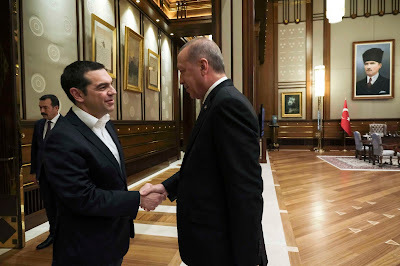 Turkey chose the day of the Greek prime minister’s visit to place a $6.1mn bounty on the heads of Turkish eight army officers seeking asylum in Greece. This emphasis had been suggested days earlier, when the powerful National Security Council in Ankara issued a demand for their extradition, despite the fact that the Greek Supreme Court has forbidden this on humanitarian grounds. The court’s decision is unreviewable, but the Turkish government suspects the men of helping to plot a failed coup against Turkish President Recep Tayyip Erdogan in July 2016. The men commandeered a helicopter to escape Turkey and seek asylum in Greece. To the conservative Greek opposition, Prime Minister Alexis Tsipras had walked into a trap. “This visit is poorly prepared by the Greek side, and augurs ill for Greek interests and Greek-Turkish relations,” declared Greek shadow foreign minister Yiorgos Koumoutsakos. “For the last 18 months, Turkey has toughened its rhetoric and backed that up with actions. The result is that the two countries are in a state of constant confrontation. Nothing has occurred to make us believe in a breakthrough,” says Angelos Syrigos, an expert in international law at Panteion University in Athens, and a candidate with the conservative New Democracy party.